Can You Retire Early Even Though You Are Not Disabled? 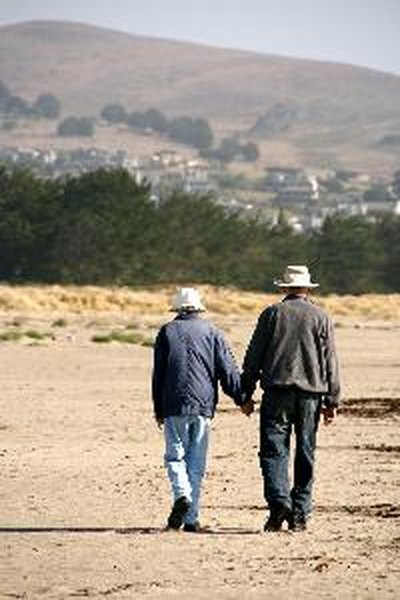 Many people look forward to a long, active retirement. For many workers, retiring early is an unaffordable luxury. Although being disabled may offer a pathway to early retirement if you're unable to work, you can retire at any time, regardless of your disability status. The key is whether you have enough retirement income to live comfortably, and whether you have access to other benefits, such as health care. "Early retirement" may mean different things to different people. The retirement for Social Security benefits, for example, ranges from 62 to 67, depending on when you were born. Accessing many types of retirement savings plans without a tax penalty often depends on reaching age 59 1/2. Employers and labor unions set their own retirement ages for pensions and employer-paid benefits. Retiring before you reach any of these milestones may be considered an early retirement. If you are not disabled, you are not eligible for Social Security disability benefits, but you will remain eligible for regular Social Security benefits. Retiring early means that you will typically not receive the full amount of those benefits. The age that is considered "early" depends on when you were born, and when your benefits will be available in full. Medicare is government-subsidized health care that is available to all Americans over age 65. Retiring prior to age 65 without a disability means you'll be on your own to purchase an individual health insurance plan or rely on health care you receive through a pension. The benefits you stand to receive from your employer also figure into the decision to retire early. Disabled workers may receive workers' compensation payments, early pensions or payments from legal settlements that allow them to retire early. If you are healthy, however, you must look at your employer's pension offerings, if any. Retiring early may mean taking a reduced pension, or it may mean giving up most or all of your employer-paid retirement benefits. In addition to cash payments, a pension may include provisions for health insurance. Retiring early may forfeit or reduce health care benefits paid by your employer. You may decide that a partial pension, combined with partial Social Security benefits, may or may not be enough to live on if you retire early. One of the easiest ways to retire early is to have personal retirement savings, such as in a 401(k) or IRA, that will fund your living expenses until maximum Social Security benefits are available. A tax penalty applies, however, if you take money out of these plans before age 59 1/2. Personal savings and other investments can fund a retirement in the meantime, or depending on the situation, you might decide to take withdrawals from the plans and pay the tax penalties. What Does "Non-Qualified Retirement Plan" Mean? Is Military Retirement a Nonqualified Deferred Compensation Plan?